This gene is a member of a phylogenetically conserved family of genes that share a common D-binding domain, the T-box. T-box genes encode transcription factors involved in the regulation of developmental processes. 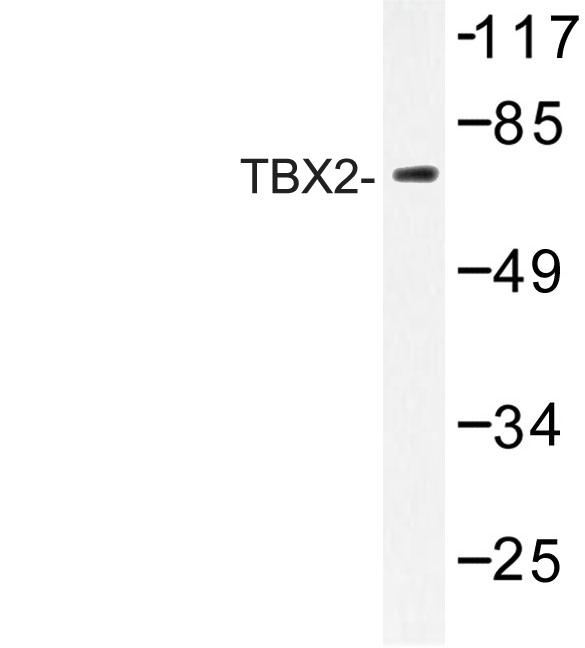 TBX2 is the human homolog of mouse Tbx2, and shares strong sequence similarity with Drosophila omb protein. Expression studies indicate that this gene may have a potential role in tumorigenesis as an immortalizing agent. This gene is a member of a phylogenetically conserved family of genes that share a common D-binding domain, the T-box. T-box genes encode transcription factors involved in the regulation of developmental processes. This gene product is the human homolog of mouse Tbx2, and shares strong sequence similarity with Drosophila omb protein. 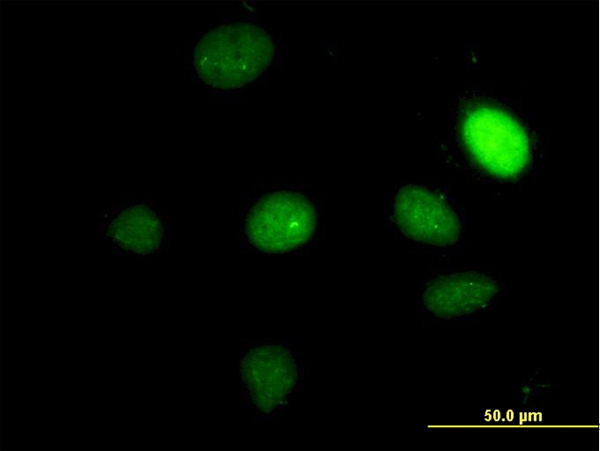 Expression studies indicate that this gene may have a potential role in tumorigenesis as an immortalizing agent. Transcript heterogeneity due to altertive polyadenylation has been noted for this gene. Publication Note: This RefSeq record includes a subset of the publications that are available for this gene. Please see the Entrez Gene record to access additiol publications. Western blot analysis of TBX2 over-expressed 293 cell line, cotransfected with TBX2 Validated Chimera RNAi ( Cat # H00006909-R01V ) (Lane 2) or non-transfected control (Lane 1). 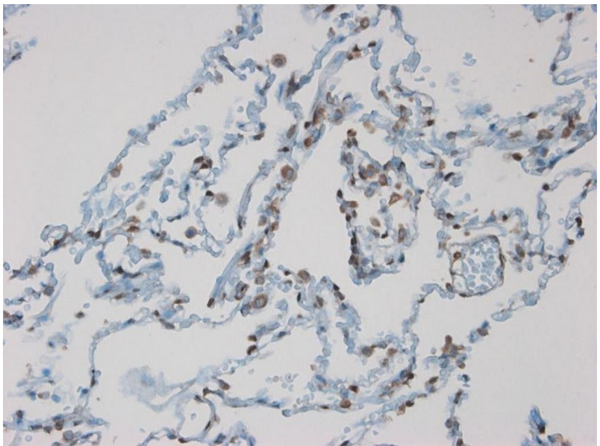 Blot probed with TBX2 monoclonal antibody (M01), clone 7G5 (Cat # H00006909-M01 ). GAPDH ( 36.1 kDa ) used as specificity and loading control. 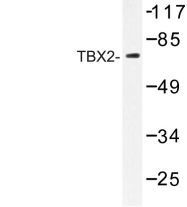 TBX2 monoclonal antibody (M01), clone 7G5 Western Blot analysis of TBX2 expression in Hela NE ( Cat # L013V3 ). 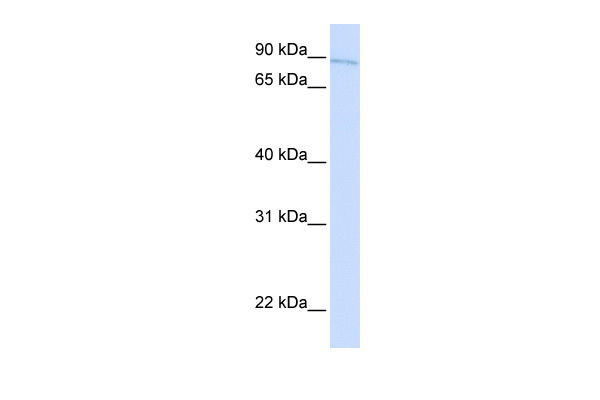 Western Blot analysis of TBX2 expression in transfected 293T cell line by TBX2 monoclonal antibody (M01), clone 7G5.Lane 1: TBX2 transfected lysate(74.1 KDa).Lane 2: Non-transfected lysate. 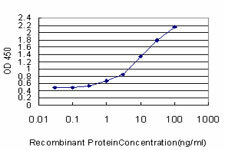 Detection limit for recombinant GST tagged TBX2 is approximately 0.3ng/ml as a capture antibody. 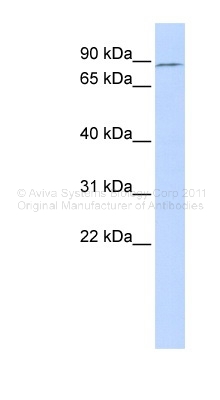 Western blot (WB) analysis of TBX2 antibody (Cat.-No. : AP06721PU-N) in extracts from HeLa cells. Figure 1. 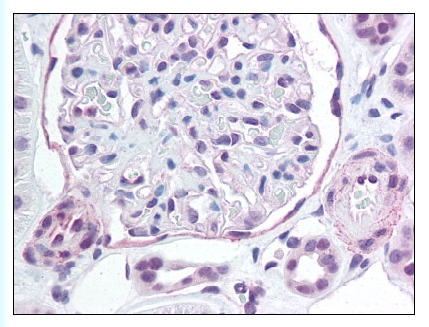 Staining TBX2 in Kidney by Immunohistochemistry using Formalin-Fixed Paraffin-Embedded (FFPE) tissue. Western blot analysis of extracts from HeLa cells, using TBX2 Antibody. The lane on the right is treated with the synthesized peptide.